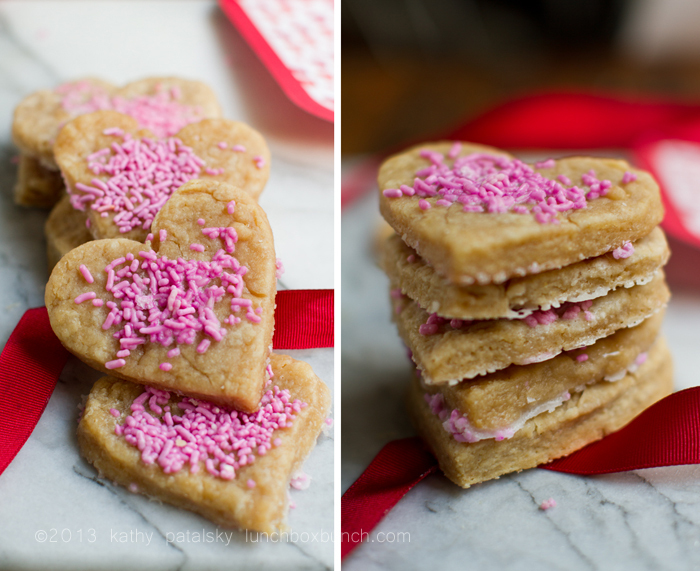 Valentine's Day Heart Sugar Cookies. Almond. Coconut Oil. 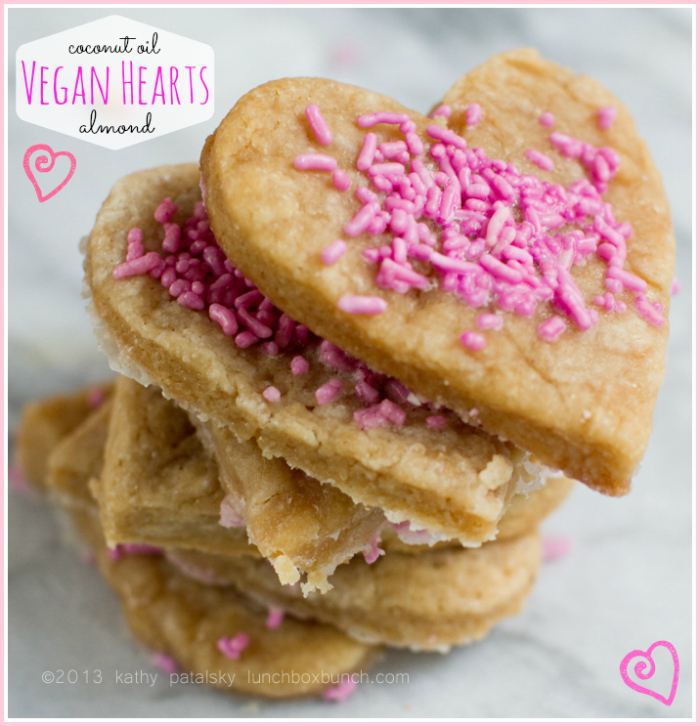 Everyone needs a heart-shaped treat on Valentine's Day, and these vegan sugar cookies are both delicious and cute for your holiday. Sprinkles. 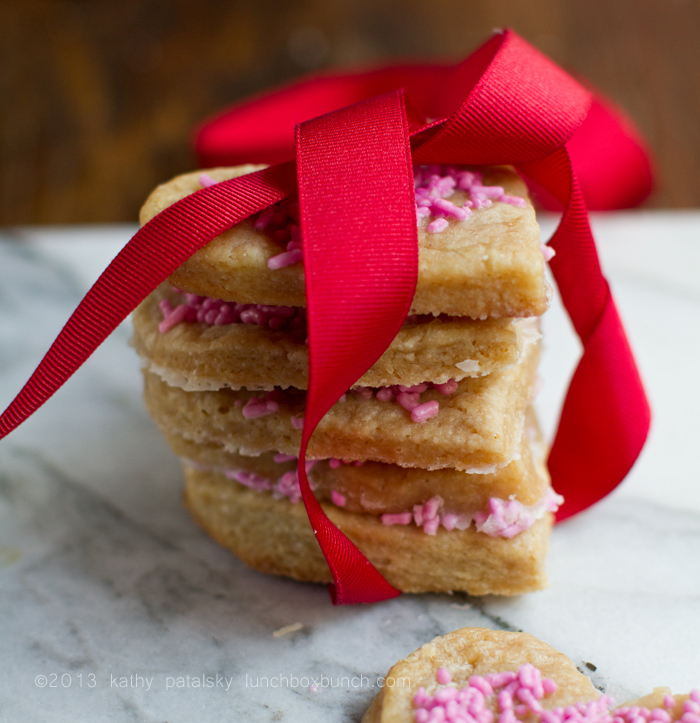 I used Williams & Sonoma pink sprinkles. They are all natural. Bottle text: "Natural vegetable colorant" .. ingredients list beet juice - woo hoo! 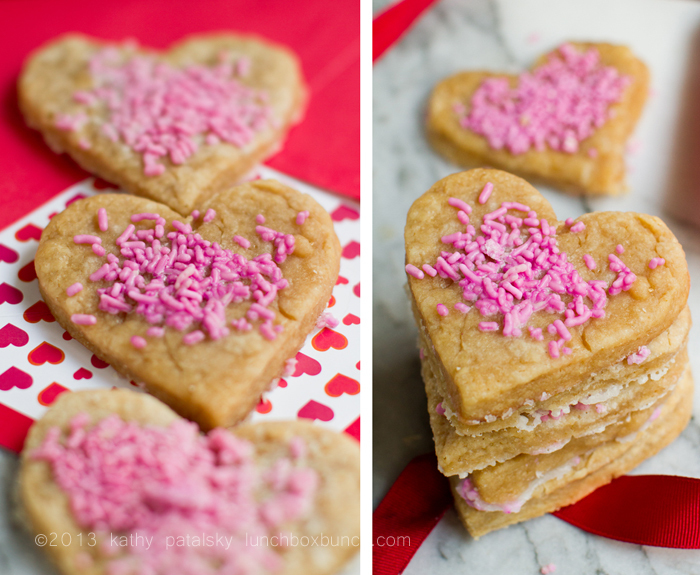 Valentine's Day Heart Sugar Cookies. Almond-Coconut Oil. * yes, you can substitute another variety of sugar, but I really enjoyed the raw turbinado sugar since it has a very caramel-y flavor. * the almond extract is optional, but advised! 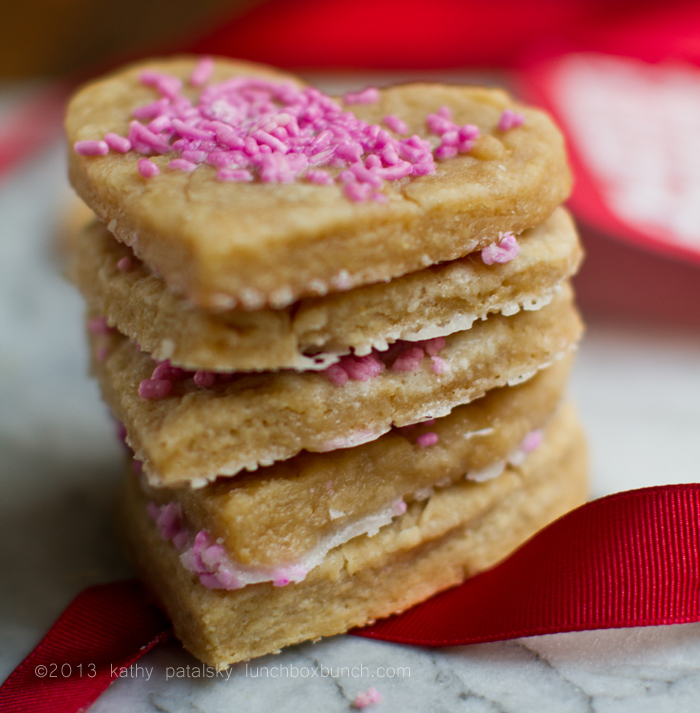 If you need to, you can substitute with vanilla extract. Or a lemon or orange extract would be nice too! 1. Combine the warm water with the coconut oil so that the oil melts into a very liquid state, a few soft clumps are OK.
2. Add in the salt, extracts, citrus juice and sugar. 3. Then start folding in the flour. Make sure your wet mixture is not hot when you do this. The warm water should be just warm enough to soften the coconut oil. Continue stirring until the mixture thickens to a very soft dough. 4. Transfer this soft dough to a small bowl and place in the fridge to chill for at least an hour. This will firm up the dough to a rollable state. 5. Preheat the oven to 350 degrees and pull dough from the fridge. Heavily flour your rolling surface and press out the dough with your fingers or a rolling pin. 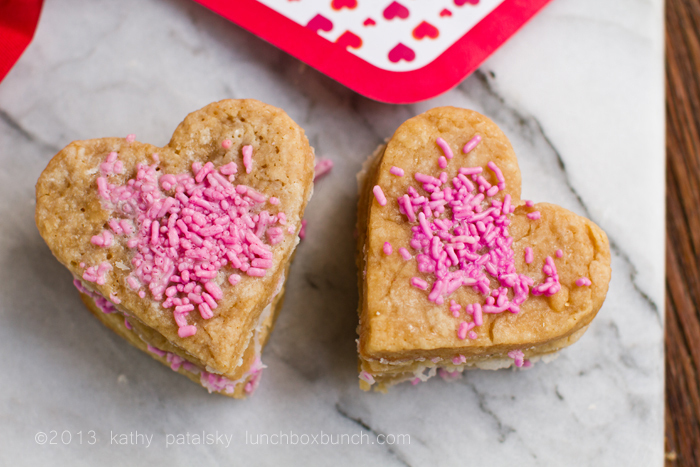 Slice out hearts and place on a greased baking sheet. 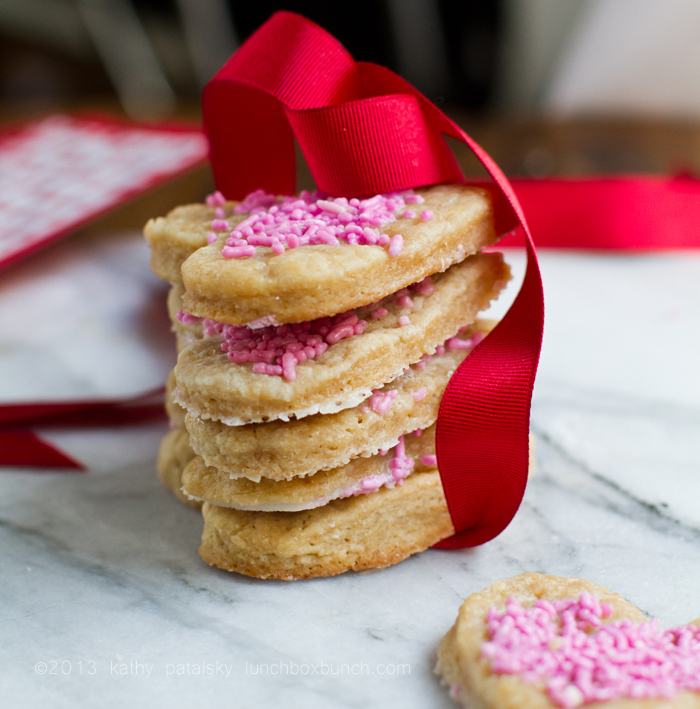 Add sprinkles over top cookies. 6. Bake cookies at 350 degrees for about 20 minutes, you want the edges to start to puff up and crisp out to look toasted and not doughy anymore. 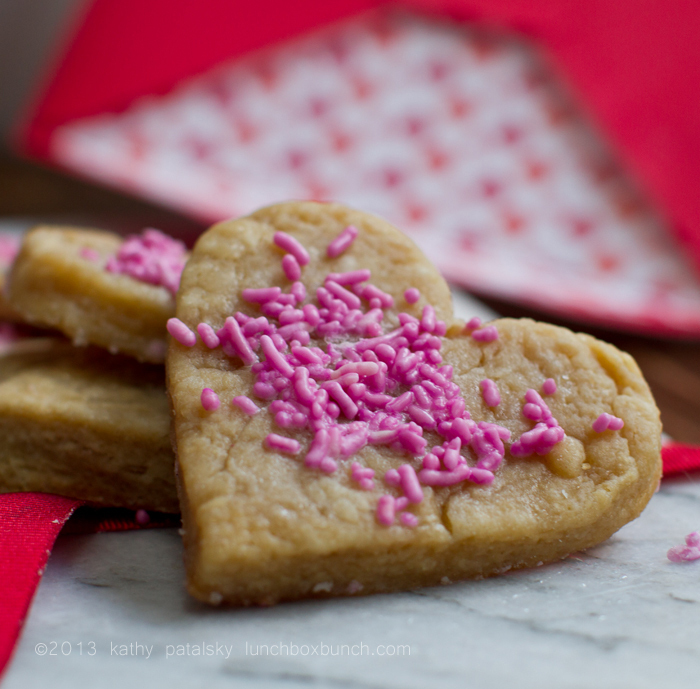 Slightly browned edges will give you a crisper cookie. 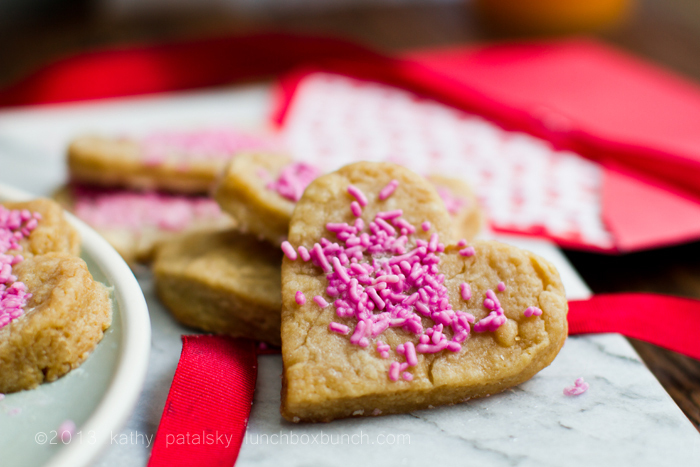 I personally like my cookies a but more buttery than crispy, but the choice is yours for baking time. 7. 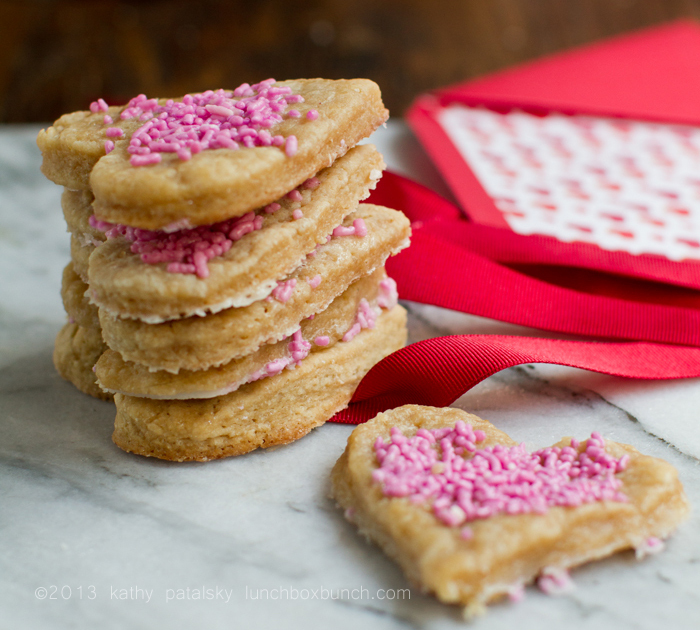 Remove cookies from oven and allow to cool. 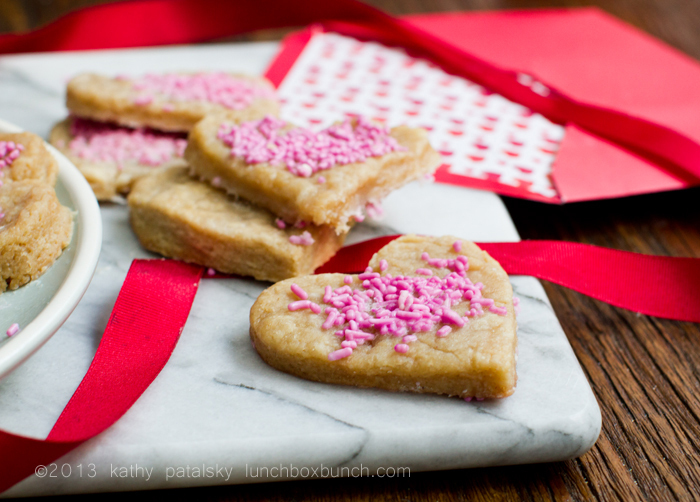 This will firm up the cookies quite a bit since the coconut oil makes them very delicate upon removing from the oven. 8. 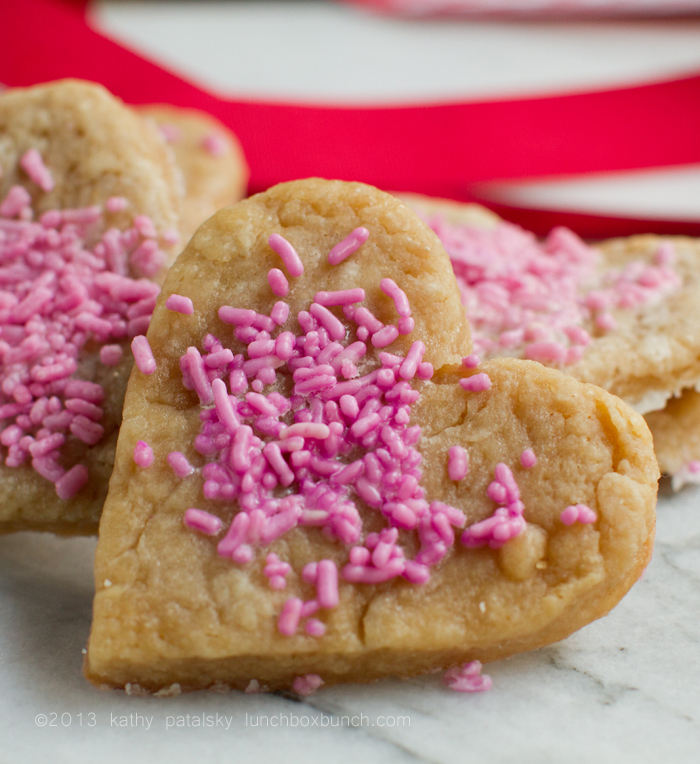 While cookies are cooling, you can whisk together your glaze. Place in the freezer about five minutes to firm up a bit. 9. 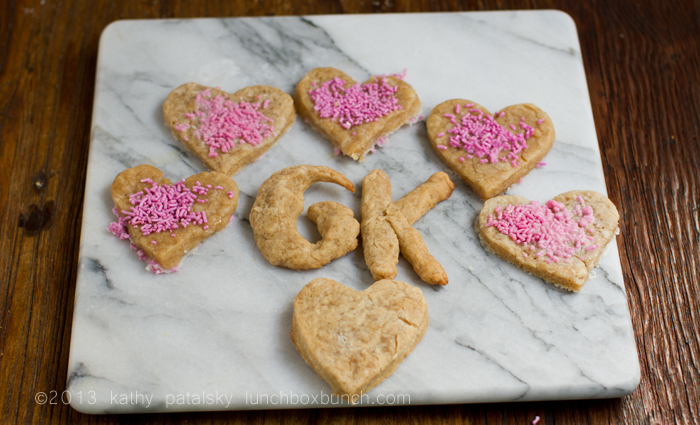 I drizzled the glaze over my cookies when they were still slightly warm and it melted quite a bit, but it still worked to attach the sprinkles! Add glaze and sprinkles over top and store in a covered container, at room temperature for up to 3 days. Longer, store in the freezer. 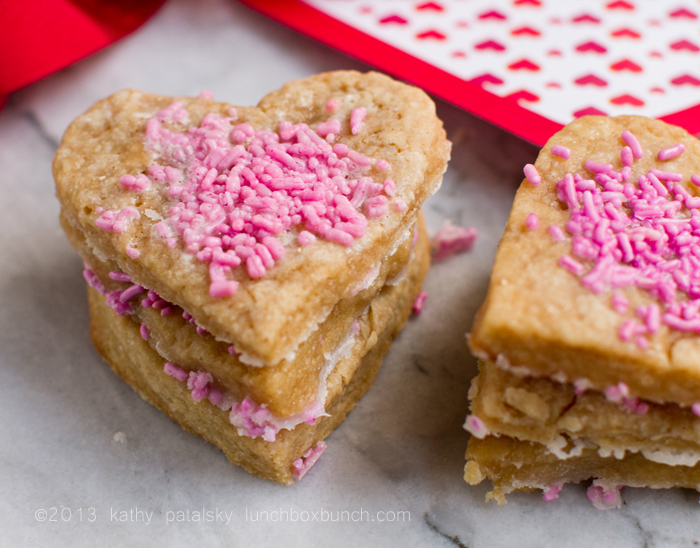 Want more: check out my "Pretty in Pink" Valentine's Day round-up on Babble.com Food! 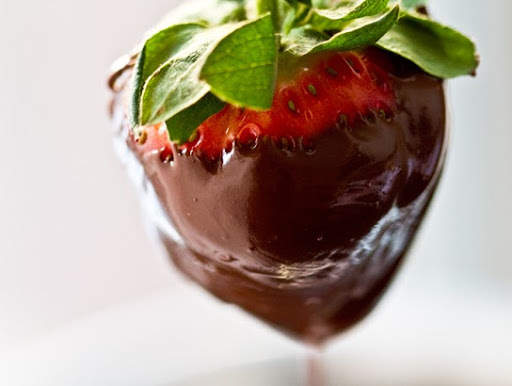 Or try the always popular chocolate covered strawberry! -> recipe + exotic topping ideas.